This driver allows you to parse string results from other driver's string values. 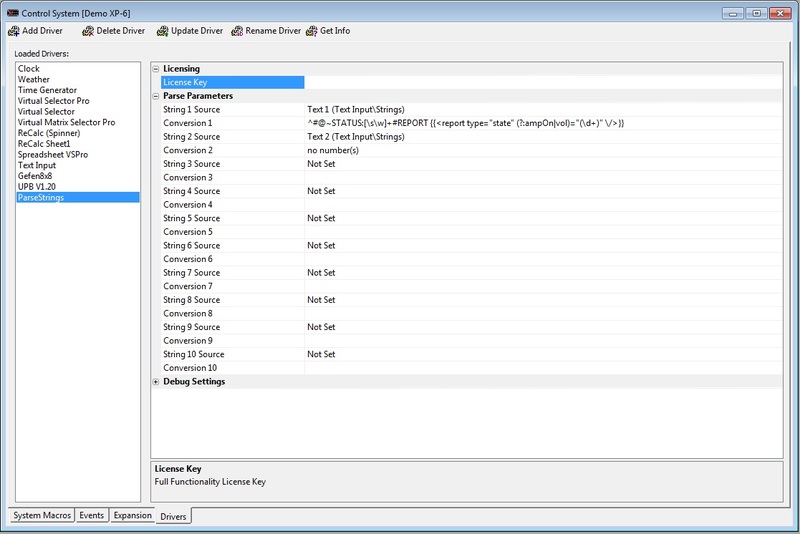 You can extract information from driver's complex string output.. This has 10 string variables, 10 separate parse regular expressions, and 10 result variables.